Item received. Repeated order for so many times. Hi can I mix the collagen powder to warm lemon juice water? Drink in the early morning. Pls reply. Thank you. Dear seller. Thank you for your detailed reply. I understand the dosage is 1 scoop per day. I have been a regular consumer. If I drink 2 scoops per day. Will I be getting better effect or the same as a scoop per day? Thank you. Thanks. I have ordered the royal jelly. 1) I shall take 2 capsule daily together with collagen in the morn. 2) Can check when I go overseas, I did not bring and stopped for few days, how to handle the dosage when I am back from holiday? 3) Any buy 2 free 1 promotion. For royal jelly now? 1. Yes, pls take 2-caps NANO Royal Jelly + 1-scoop NANO Collagen TOGETHER with/ after your breakfast in the morning daily. 2. If u are travelling regularly, we actually suggest u bring them along in zip-lock bags :) Just measure each scoop, 7g and pour it into small ziplock bags, make it like individual pack which will make u easier to go. OR, u can take 1-cap NANO Royal Jelly + 1-scoop NANO Collagen twice a day (AM/ PM) for one week when u back, then resume 2-caps NANO Royal Jelly + 1-scoop of NANO Collagen once a day as usual. 3. Now buy any 2 items of NANO product = 1 Avenger soft toy (random). Buy any 4 items of NANO product = 2 Avenger soft toy (random). To get 1-whole set of Avenger soft toy (5-pcs), u need to purchase any 5 items of NANO products under the same cart. Pls take note that all the orders have to be under the same cart to entitled for the free gift. Hi. I cant seems to use the voucher even after purchasing 3 tin of the collagen powder. It keeps telling me this voucher applies to specific brand. hi ! im running low on stocks but i don't really need the Tote bag & I've been waiting for a new package bundle. Is it possible for you to change it something else? Hi, how do I purchase the nano collagen at $29.90 each if I buy 3 now? The price stated is $40 plus each. Good morning. The promotion had ended! ><( We are terribly sorry that you might have just missed it! Although we are unable to recover the promotion, however, please rest assured that there's always a promotion/ deal that you will find it exciting. :D We'd suggest you stay close with us every day to not miss out any great deal. :) To your question, this is due to exceeding of a budget we allocated for the sales price and due to the overwhelming response, it burst. During certain time when our marketing budget allocation is maxed-out, it will resume to normal sales price . This is done automatically. 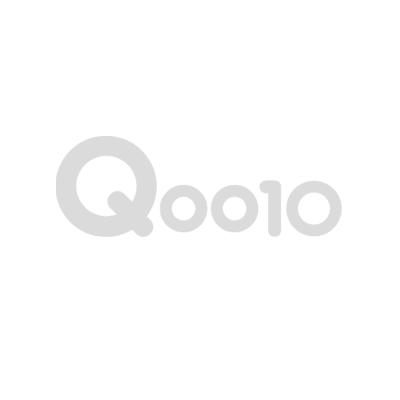 Until Qoo10 quickly top-up new budget allocation, will the supported prices be resumed. It is hard to estimate when their support budget will be exhausted. This is how Qoo10 seller setting works and we can't do much but to align and continue to offer our products at the best prices with the best support to our ability...! Hope this clarifies.